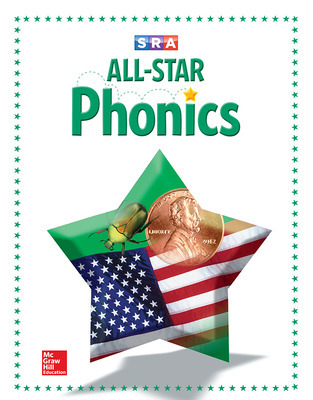 With All-STAR Phonics & Word Studies, your students will learn to sound out unfamiliar words using decoding strategies such as sense clues, structural or morphemic analysis, and spelling-sound clues. 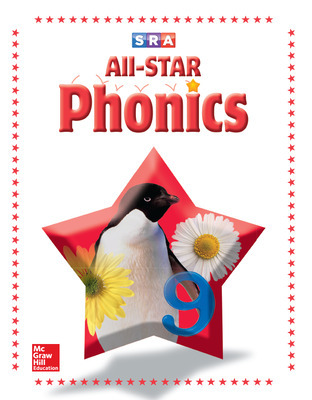 Use All-STAR Phonics & Word Studies alone or as a supplement to a basal program. All-STAR Intervention Strategies allow your students to experience learning through different senses, making it easier for them to master important phonics skills. Phonics in Context: Themes, Reading, and Writing adds interest to phonics instruction and links phonics to other language skills. 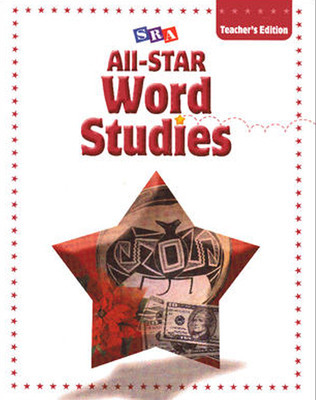 With All-STAR Phonics & Word Studies, your students will build a solid skills foundation for future reading achievement. Teachers guide students through the lesson and then students practice what they have learned on their own. Students apply their growing knowledge of letter sounds, spelling patterns, and word parts to help them become fluent readers and writers. 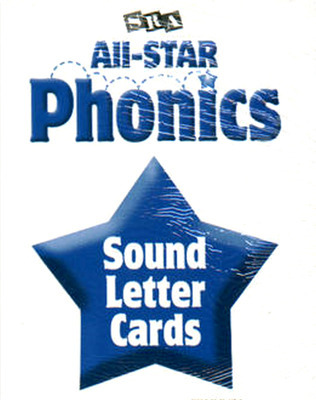 SRA All-STAR Phonics Sound-Letter Cards are color coded (consonant/vowel) for easy use in working with both individual sound-letter correspondence and making words. Clearly and concisely chosen information provides teachers with the resources they need for effective phonics instruction while reinforcing important skills and giving students much needed practice and opportunities for success.